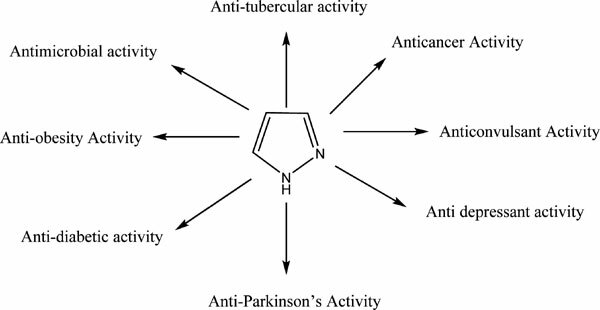 Pyrazole nucleus is a unique structural scaffold which acts as an interesting template for combinatorial as well as medicinal chemistry. This review presents a detailed overview on the synthesis, QSAR and pharmacological applications of pyrazole. In addition, it covers most recent reports on structural modifications on pyrazole illustrating vital structural activity relationship. Combinatorial chemistry, medicinal chemistry, pharmacological activity, pharmacophore, pyrazole, QSAR.